"Having to wake up at 7(AM) and having to throw on something really fast inspired my outfit." Cute suede overall dress worn with a sweet cream-colored sweater. 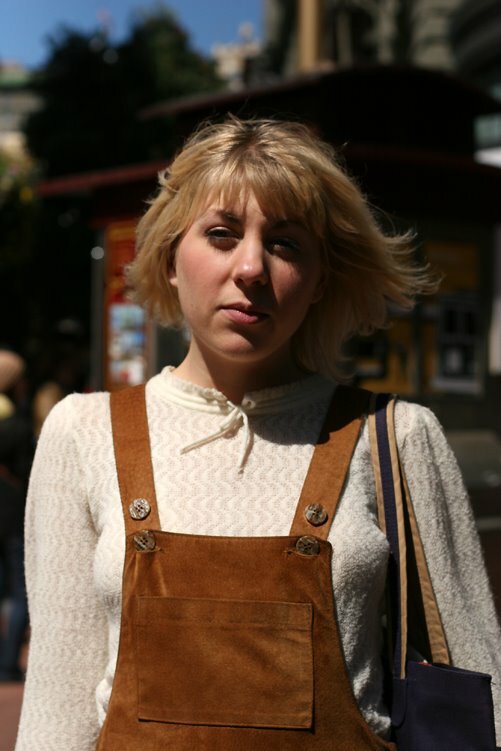 If Lisa looks familiar, it's because we last spotted her on Haight Street amidst a summer vest trend. Lovely rose colored tights with shoes that toe the line between moccasin and skimmer. awww, she is so cute, I really love the hair too.